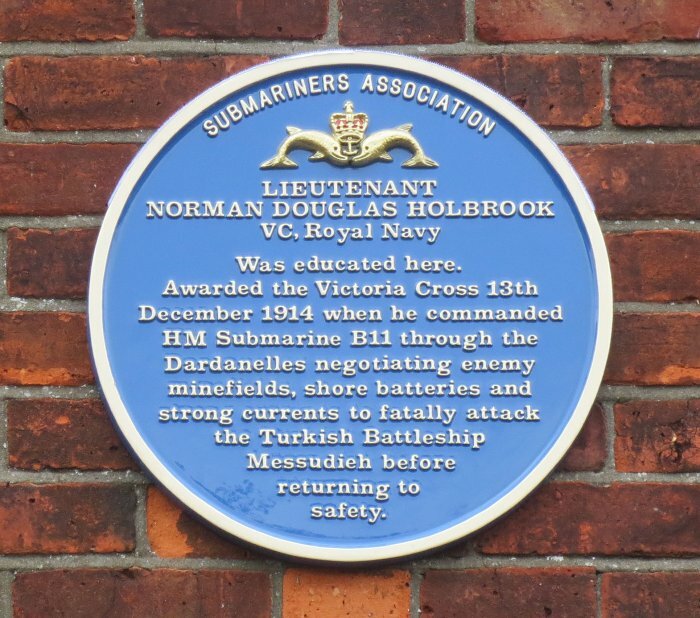 This plaque was unveiled on 20th September 2014 in the presence of Jim McMaster, Chairman of the Submariner's Association, James Priory MA, Headmaster, Portsmouth Grammar School and Admiral Sir James Perowne KBE. Another plaque dedicated to Norman Holbrook appears on the wall of St. John's College. 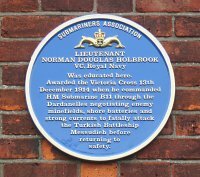 Details of the award of the Victoria Cross to Lt. Norman Holbrook can be found in the Portsmouth VC Section.